rsync stands for remote sync. rsync is used to perform the backup operation in UNIX / Linux. rsync utility is used to synchronize the files and directories from one location to another in an effective way. Backup location could be on local server or on remote server. Speed: First time, rsync replicates the whole content between the source and destination directories. Next time, rsync transfers only the changed blocks or bytes to the destination location, which makes the transfer really fast. Security: rsync allows encryption of data using ssh protocol during transfer. Less Bandwidth: rsync uses compression and decompression of data block by block at the sending and receiving end respectively. So the bandwidth used by rsync will be always less compared to other file transfer protocols. Source and destination could be either local or remote. In case of remote, specify the login name, remote server name and location. To sync two directories in a local computer, use the following rsync -zvr command. Now let us see the timestamp on one of the files that was copied from source to destination. As you see below, rsync didn’t preserve timestamps during sync. As you see below, rsync preserved timestamps during sync. To copy only one file, specify the file name to rsync command, as shown below. 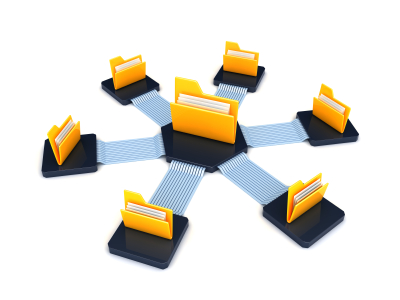 rsync allows you to synchronize files/directories between the local and remote system. As you see above, it asks for password while doing rsync from local to remote server. Sometimes you don’t want to enter the password while backing up files from local to remote server. For example, If you have a backup shell script, that copies files from local to remote server using rsync, you need the ability to rsync without having to enter the password. To do that, setup ssh password less login as we explained earlier. When you want to synchronize files from remote to local, specify remote path in source and local path in target as shown below. rsync allows you to specify the remote shell which you want to use. You can use rsync ssh to enable the secured remote connection. Use rsync -e ssh to specify which remote shell to use. In this case, rsync will use ssh. In a typical sync situation, if a file is modified at the destination, we might not want to overwrite the file with the old file from the source. Use rsync -u option to do exactly that. (i.e do not overwrite a file at the destination, if it is modified). In the following example, the file called Basenames is already modified at the destination. So, it will not be overwritten with rsync -u. Use rsync -d option to synchronize only directory tree from source to the destination. The below example, synchronize only directory tree in recursive manner, not the files in the directories. $ rsync -v -d thegeekstuff@192.168.200.10:/var/lib/ . When you use rsync for backup, you might want to know the progress of the backup. i.e how many files are copies, at what rate it is copying the file, etc. rsync –progress option displays detailed progress of rsync execution as shown below. You can also use rsnapshot utility (that uses rsync) to backup local linux server, or backup remote linux server. If a file is not present at the source, but present at the target, you might want to delete the file at the target during rsync. In that case, use –delete option as shown below. rsync delete option deletes files that are not there in source directory. # Source and target are in sync. Now creating new file at the target. $ rsync -avz --delete thegeekstuff@192.168.200.10:/var/lib/rpm/ . If you like, you can update (Sync) only the existing files at the target. In case source has new files, which is not there at the target, you can avoid creating these new files at the target. If you want this feature, use –existing option with rsync command. First, add a new-file.txt at the source. Next, execute the rsync from the target. This option is useful to view the difference in the files or directories between source and destination. In the above example, between the source and destination, there are two differences. First, owner and group of the file Dirname differs. Next, size differs for the file Basenames. Now let us see how rsync displays this difference. -i option displays the item changes. In the output it displays some 9 letters in front of the file name or directory name indicating the changes. > specifies that a file is being transferred to the local host. f represents that it is a file. s represents size changes are there. t represents timestamp changes are there. rsync allows you to give the pattern you want to include and exclude files or directories while doing synchronization. You can tell rsync not to transfer files that are greater than a specific size using rsync –max-size option. max-size=100K makes rsync to transfer only the files that are less than or equal to 100K. You can indicate M for megabytes and G for gigabytes. One of the main feature of rsync is that it transfers only the changed block to the destination, instead of sending the whole file. If network bandwidth is not an issue for you (but CPU is), you can transfer the whole file, using rsync -W option. This will speed-up the rsync process, as it doesn’t have to perform the checksum at the source and destination. Of the track I recently found one good option for backup (fresh install) of a system which contains lot of customised packages, we can use the “Ghost for linux”. This can be used to take a cold backup of entire system (including the customised packages + OS), which can used to redeploy the same setup in a diffrent server or be used in the same server incase of crash of the system. This saves the pain of reinstalling the OS and the packages from the begining. here are two items i always mention when teaching people about ‘rsync’. i always test it first with a dry run (simulation). append –dry-run or -n to your options to see what files *would* be copied or deleted without actually doing the action. also, including a trailing slash vs omitting it produces different results. Great tutorial Ramesh – thanks again for taking the time to put this together! Mike –> Thanks for your example in your comment (and the dry run option). my question is : how can i backup a folder out of the home directory ? Using absolute paths is a nice way to be 100% sure of what you are copying. it backup with automatic in one server to another server without password How to anyone help!!! thank you very much! i have been trying to use rsync to one-way sync an itunes library from one mac to another machine. is there a way to get more details in to a log file? like date/timestamp? i’ve added >> /path/to/log.txt and it works well. just need to add date/timestamp. also would it be possible to get an email when rsync is done? Thanks for a great tutorial. in depth and clear. This is a good summary of rsync stuff that is important. This was helpful for me! keep posting stuff like these. When using the -d option to copy Only the Directory Tree, not only the dir-tree gets copied. FILES in the top source dir also get copied!! rsync -v -d –max-size=’10K’ ~/Music/ . just my opinion and my experiences. Thanks for your awesome rsync article. I would like to include the 16 rsync example command here below. Realy it’s help me a lots . Thanks buddy. When running rsync between 2 local directories, you dont want to use -z (compress), it’ll just load up your processor and slow down the transfer. Very, very useful. I learnt so much, so quickly thanks to this post. Many thanks. Is it possible to tell rsync to copy only files belonging to a certain user ? with a lot of files from other people (if the links point there). Very good article, and usefull topics. what is the problem with this? really awesome. even offical site for rsync is not so clear. explained with examples really rocks. I want to transfer my output data files(vtk/png files) only from remote to local computer. What can I do in this regard? Great article, and well explained. I’d like to find some further information on the: “only sending the changed blocks”. I find this amazing in situations where there is a large file– such as a VM file. Nice article, for bonus points: is there any way to capture all changed files and put them somewhere on each run? I’m using –backup-dir but that only retains one version of each file. Maybe the trick is to gzip that tree and erase it after each run, but I also want to set up so that only the original rsync command can be executed ( have to push from a shared host, want to secure the backup server better ). Basically looking for a version-control-like setup that captures most versions of files in development at least at the intervals I set. Siraj, you can debug your connection using an interactive ssh. Best thing to do is to use certificates if you want an unattended backup, this isn’t covered in this article but search rsync ssh-keygen to find several good articles on doing those. Hi, i am using rsync to backup from remote to local but in backup it not recognise the extension of file such as font that not have extension like .ttf etc. in backup copy not reconised as font but it seems a document and i cant use that font from backup. Is something special for risolve this in rsync? Thanks to all if someone can help me. I have errors at server and can not update. Repeat calls to rysnc to syncronize, but it deletes file on the destination folder. So an error can delete many gigs of already copied data the next time rsync is called. Can you help me for one rsync scenario . if i removed some source files then how we can refelect this changes on destination using rsync. any help from you and others will be appriciated . Thanks in advance. Joseph for your help !!! Awesome info and example. I do one question about the -W option. I am rsync on a LAN network work as oppose to the over the wan, should I use the -W option? I don’t see much of -W option any of the other documentations and examples. Just curious. Looking to foward to hear from you. This is extremely useful. It provides all the information I have been researching for the past several days about syncing from my remote server back to my local machine. Can u have any steps to take full backup of OS and restore it on another server using live CD. Great guide. Useful e simple to read ! thanks a lot. rsync can use hard links for create incremental backups, but even so some kind of backup rotation is needed to limit the required disk space. Check here. 10 backups gives usually 10 days or retention. I writed a rsync shellscript with a non-linear rotation to extend this retention. 10 backups is then enough to retain 1 year of the backups, e.g. with daily snapshots 1, 2, 3, 4, 6, 10, 18, 50, 114, 242. I’ve been using RSYNC (actually GRSYNC) to backup my entire Home directory to an external harddrive for years. Then when it comes time to upgrade to the next release, I tend to install new (instead of allow system to update to the next release) and have used my saved files on my external harddrive to recover my data. It has worked great. The first copy will take awhile, dependent upon the number and size of your files, but after that it will look for what has changed and only copy of those files. Very quick. Thanks for the great info! Just wanted to mention though, and correct me if I’m wrong, but I think you’ve got the ls -l examples of backup preserving or not-preserving timestamps the wrong way round. Very nice description. Thanks a bunch buddy! I still can’t see that big difference between rsync and scp! Very clearly written, thanks much! and block level in rsync ??? can u give me way to do this ??? i use ssl whith publickey. how do i use rssync ? I refer to your website whenever I want to use rsync. Wow, I am amazed at the power of this tool/command. Very good explanation. I would like to include a link to this page as “useful rsync examples” if you allowed. Keep up the good job. It is very useful for beginners.